We inform, engage and inspire young people to be stewards of the environment. Roseville Area Middle School students helped plant a rain garden, one of six school projects funded in part by a Clean Water Fund grant. Youth volunteers planted native grasses for our Keller Creek restoration project. We develop and customize lesson plans and service learning activities for K-12 students, both inside the classroom and (especially!) out in the field. 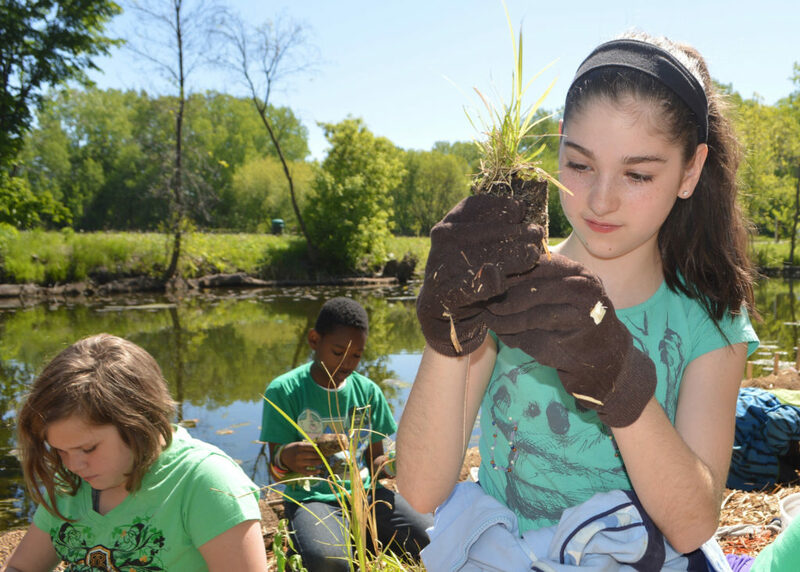 We connect students to projects happening in our watershed, highlight local issues, and organize field trips to empower youth with the tools to improve and protect water resources. Invite us to your school to teach one or more of the following lessons, which can be customized to your location and age group. Or suggest another topic of relevance for you. Watershed Mapping: Follow how water flows in your subwatershed. How have land changes over time impacted water quality? Save our Lakes, Wetlands and Creeks: Reduce pollution and runoff. Grow Native Plants: Increase pollinator habitat and keep waters clean. 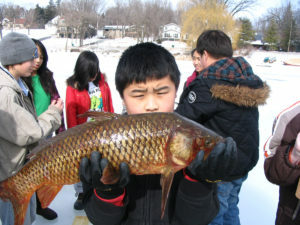 Students got a firsthand look at carp control during a winter netting project on the Phalen Chain of Lakes. Growing Native Plants from Seeds: Improve your yard and community. 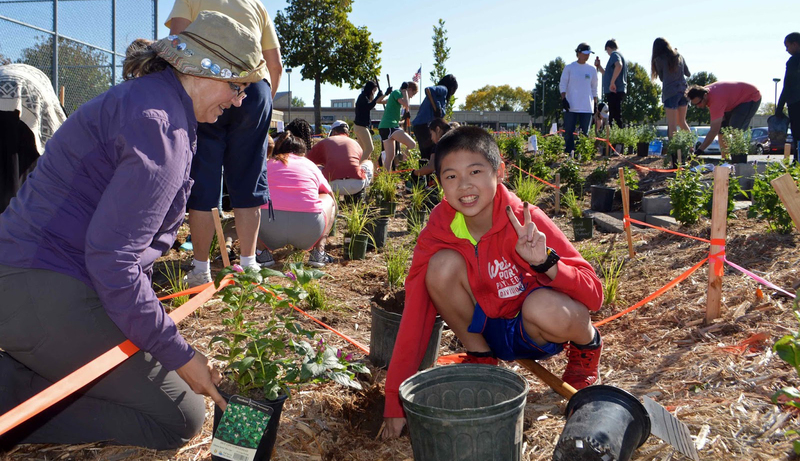 Rain Gardens: Design and create them in your neighborhood or at school. Carp Control: Solving the mystery of invasive carp and water quality. Protect Our Pollinators: Bee friendly and butterfly happy. Smart Salting: Protect our waters from chloride pollution. Groundwater 101: Keep groundwater safe and plentiful. Water Quality Monitoring: Learn to use tools in the classroom and in the field. Climate Change: What are the challenges? What can you do? The Watershed Game: Group interactive tool about land use, stakeholders and water quality. For ways to engage young people in watershed learning and stewardship, contact Watershed Education Specialist Sage Passi.